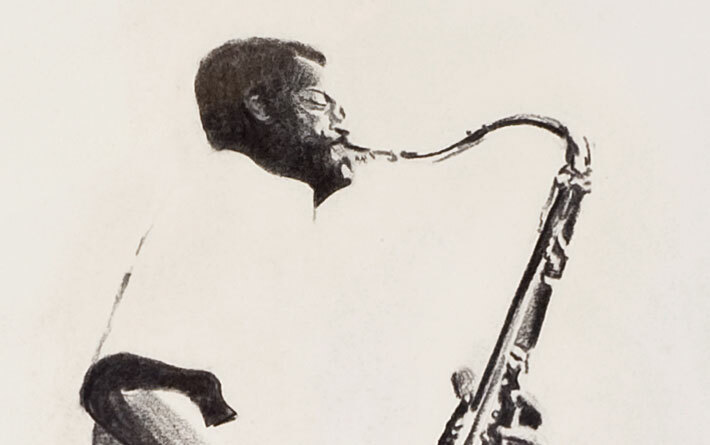 As a teenager in the 1960s, Seitu Jones dove headfirst into the music, politics and art of the era—including the message of social change. He internalized the belief that “one should leave their community more beautiful than they found it.” And that’s essentially what he’s been doing ever since, with his drawings, sculptures, set designs and public art. 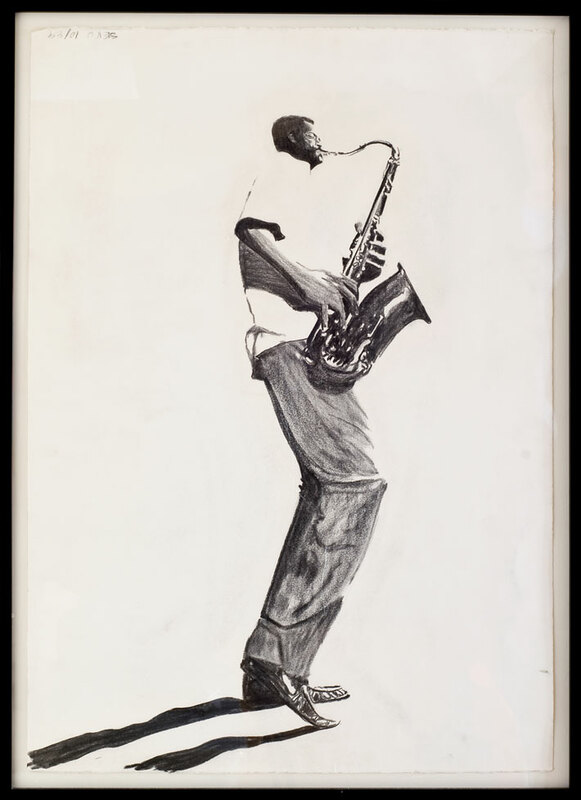 Here, this locally renowned public artist’s ink and charcoal drawing connects back to the love of music he cultivated in his early years.